This isn’t a food review but to report back about a fabulous little seafood bar we discovered just off the beach in Almuñécar. It’s called Lute y Jesús, one of several outlets in the town. 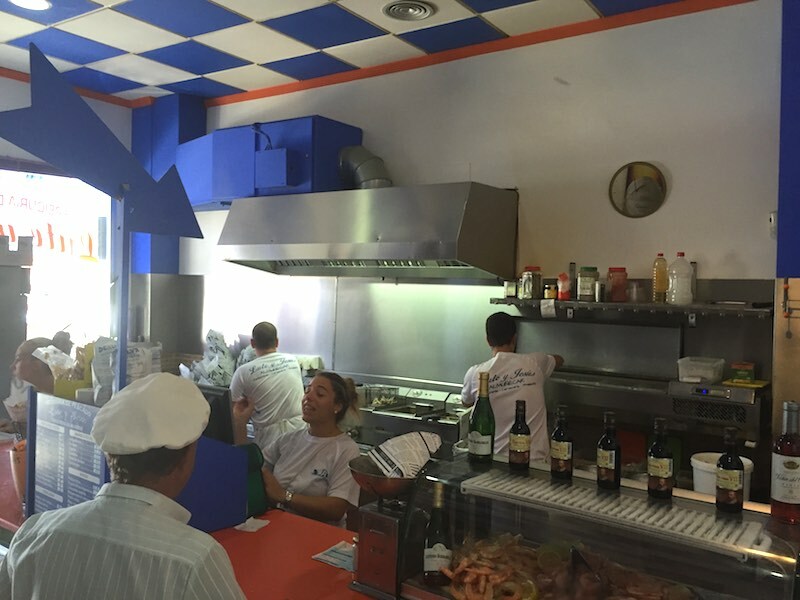 This place is more a fish ´n chip shop than a restaurant – the only seats are outside. We ate just one dish – if you call a decent portion of fried squid wrapped up in paper – a ‘dish’ – but it was amazing, the freshest we have tasted in ages. With two lemonades, our snack was just 8€. Within minutes of arriving, hordes of Spaniards turned up (always a good sign), before a fog-horn announcement over the PA got us scampering to collect our battered rings, perfectly seasoned. A well-fed cat brushed up against us and was rewarded with a piece – it was those jade green eyes, you see. Lute y Jesús sells packs of fresh salad (around 3€), pots of garlic dip and even cups of gazpacho. For 5€, the menu includes berenjenas (aubergine, fried), jibia (cuttlefish) and sardinas gabardines (battered sardines) and, for between 8€-12€ gambas, langostinos and cigalas (crayfish). And yes, there are patatas fritos. You can also buy small bottles wine and cans of beer. The whole experience was just lovely and what fast food should really be about – although not everywhere has the Mediterranean a few paces away. 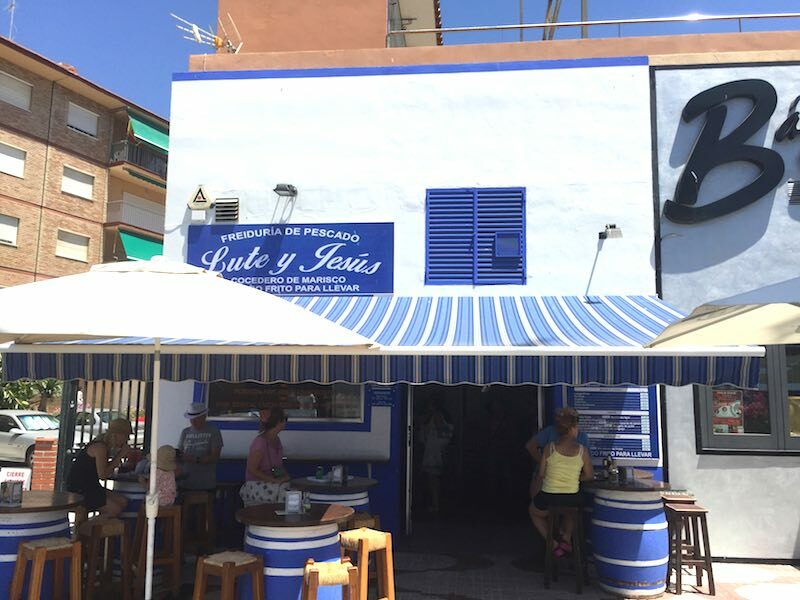 It’s located on Playa de Cristóbal and painted blue and white, so easy to spot. The old photograph of the beach hanging on the wall is interesting, showing how it has changed over the years. 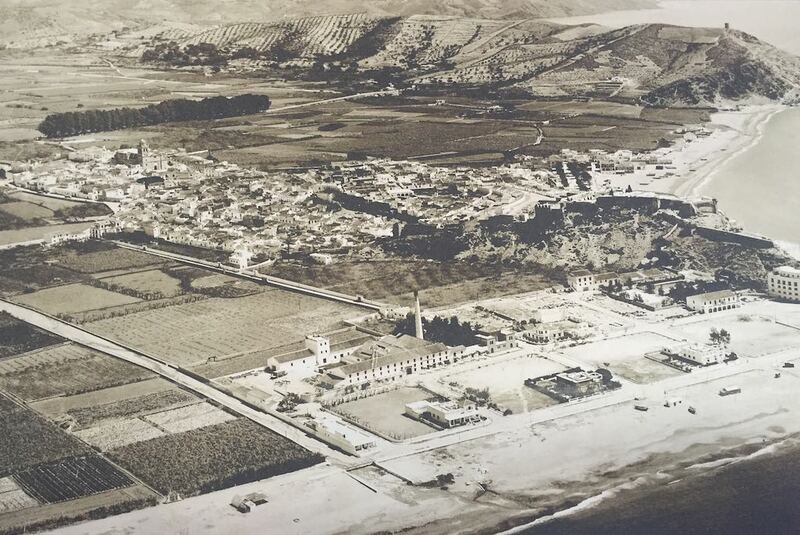 The row of trees at the top of the picture is where Almuñécar’s Sunday rastro is held. Those beach-front places were there then of course – just not the billion, bronzed bodies, pulling mussels from a shell. Highly recommended for a lunchtime or evening snack. Almuñécar is a 45-minute drive from Órgiva. Stays open until midnight, in the summer months, at least.